Whether you are planning a business event, family gathering, or special occasion, the Museum can cater to your individual needs. 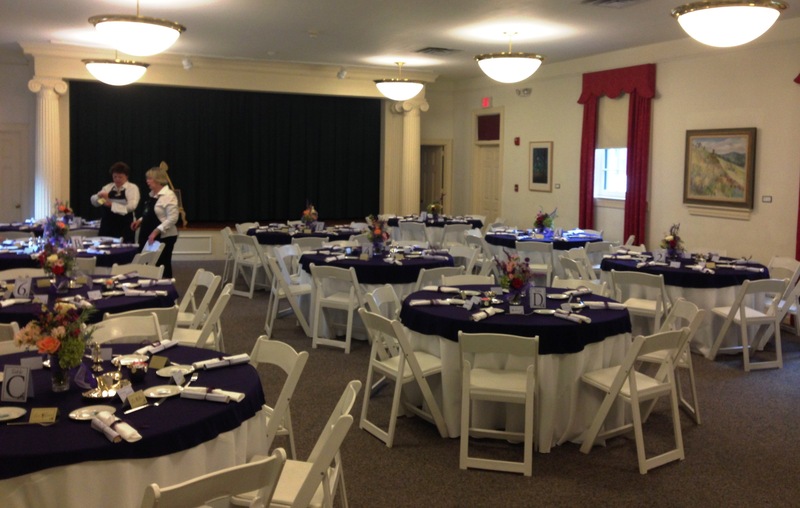 The meeting spaces and amenities at the Danville Museum give you the opportunity to create an event your guests or coworkers will remember for years to come. You will find the picturesque surroundings of the Sutherlin Mansion and the accessible Main Street location both prestigious and convenient. Individuals, businesses, and organizations can rent our facilities for a variety of purposes, including weddings, receptions, workshops, and recitals. Our auditorium includes a stage and preparation kitchen. A grand piano is available for a small fee. Audio-visual equipment is also available, including a pull-down projection screen and podiums. Events must be social, cultural or educational in purpose. The Danville Museum’s rental policy requires that events are not political. Fundraising events are generally not allowed for other organizations. All events are approved by the Executive Director. The Danville Museum is a non-profit, private organization and reserves the right to refuse a rental that does not fall within its mission or diversity statement. A nice selection of silver trays, punch bowls, ladles, and candelabras.